How Did Oil Make a Comeback? Just five years ago, experts were predicting an imminent peak and decline in global oil production. Instead, we’re in the middle of a historic boom. What happened? Considering all the talk about global warming, peak oil, carbon divestment and renewable energy, you’d think that oil consumption in the United States would be on a downward path. By now, we should certainly be witnessing real progress toward a post-petroleum economy. As it happens, the opposite is occurring. US oil consumption is on an upward trajectory, climbing by 400,000 barrels per day in 2013 alone—and, if current trends persist, it should rise again both this year and next. Just five years ago, few would have foreseen such a dramatic oil rebound. Many energy experts were then predicting an imminent “peak” in global oil production, followed by an irreversible decline in output. With supplies constantly shrinking, it was said, oil prices would skyrocket and consumers would turn to hybrid vehicles, electric cars, biofuels and various transportation alternatives. New government policies would be devised to facilitate this shift, providing tax breaks and other incentives for making the switch to renewables. 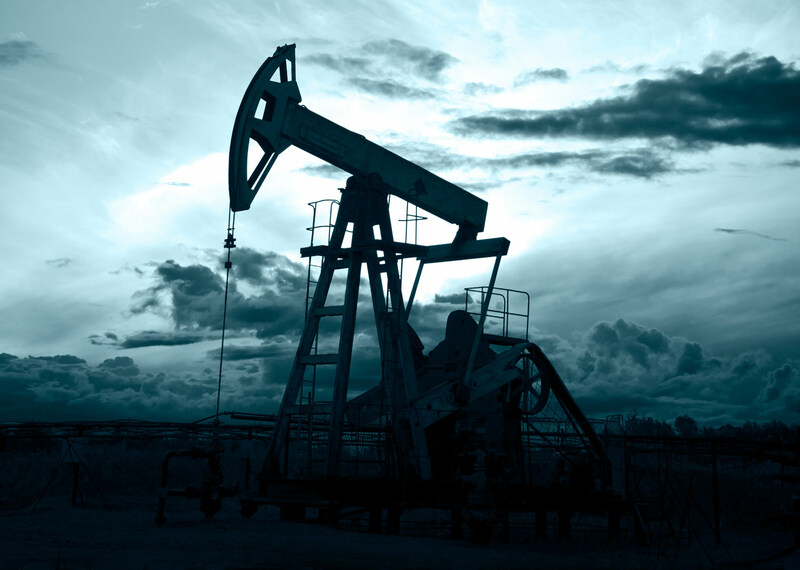 The 2008 financial crisis and global economic meltdown only put oil’s future in further doubt. Suddenly cash-conscious Americans began trading in their gas-guzzlers for smaller, more fuel-efficient cars, with the Obama administration adding its encouragement. When agreeing to the bailout of General Motors, for instance, the White House insisted that the reorganized company focus on the production of such vehicles. In a similar spirit, the administration’s $787 billion stimulus package favored investment in electric cars, biofuels, high-speed rail and other petroleum alternatives. That was then and this is now, and Obama isn’t talking that way anymore. Instead, he regularly boasts of America’s soaring oil output and points to all he’s done and is still doing to further increase domestic production. Thanks to the sort of heightened investment in domestic output his administration has sponsored, he told a cheering Congress in January, “more oil [was] produced at home than we buy from the rest of the world—the first time that’s happened in nearly twenty years.” Although still offering his usual bow to the dangers of climate change, Obama did not hesitate to promise to facilitate further gains in domestic output. * An increase in the sales of leases for oil and gas drilling on federal lands. In 2013, the Bureau of Land Management held 30 such sales—the most in a decade—offering 5.7 million acres for lease by industry. Most domestic shale “plays” (as they are called in the industry) contain both oil and natural gas. They were first exploited for their gas content because of the greater ease in extracting commercial volumes of that fossil fuel. But when the price of gas collapsed—in part because of a glut of shale gas—many drillers found that they could make more money by redeploying their rigs in oil-rich shales like the Bakken formation in North Dakota and Eagle Ford in West Texas. The result has been a sudden torrent of domestic crude that has brought gasoline prices down (with a resulting increase in gasoline consumption) and created boom-like conditions in several parts of the country. The increased availability of relatively affordable oil has also spurred investment in ancillary industries like petrochemicals and plastics. Petroleum is the basic raw material or “feedstock,” for a wide variety of subsidiary materials, including ethylene, propylene and benzene, which in turn are used to make polyesters, plastics and numerous consumer products. Many chemical firms have built new facilities to convert shale oil and shale gas into these commodities, a spur both to new jobs and greater tax revenues. In addition, with crude oil selling at around $100 per barrel, those extra 2.8 million barrels produced daily will add about $100 billion to the US economy in 2014, a substantial contribution to an otherwise tepid recovery. Of course, the environmental downside to all this, already significant, could be staggering for the future. The use of hydro-fracking to release all that shale oil has resulted in the diversion of vast quantities of water to energy production, in the process regularly posing a threat to local water supplies. In some drought-affected areas, oil drilling is now competing with farming for access to ever-diminishing supplies of fresh water. The growing use of railroads to carry shale oil—an especially volatile hydrocarbon substance—has also led to several lethal explosions, triggered by accidents involving old and inadequately reinforced tank cars. Of course, the greatest environmental fallout from the domestic oil boom will be a continuing deluge of carbon dioxide emissions into the atmosphere, further bolstering the greenhouse effect and ensuring higher world temperatures for years to come. While emissions from domestic coal use are likely to decline in the years ahead, in part due to new rules being formulated by the Environmental Protection Agency, the expected rise in emissions from oil and natural gas use will wipe out these gains, and so total US emissions are expected to be higher in 2040 than they are today, according to the EIA. As a result, we can expect little progress in international efforts to slow the advance of climate change and a steady increase in the frequency and intensity of storms, floods, fires, droughts and heat waves. One area where American energy prowess has given us “a stronger hand,” he suggested, was in negotiations with Tehran over the Iranian nuclear program. Because the United States is importing less oil, there is a larger pool of foreign oil on which our allies can draw for their needs, which has made it easier to impose tough sanctions on Iran’s petroleum exports—and so wring concessions from Iran’s leadership circle. In addition, the president and many in his administration clearly grasp the dangers of climate change—the increasing heat, drought, fiercer storms, rising sea levels and other perils that, without serious curbs on the combustion of fossil fuels, will make the present look like a utopian moment in human history. Nevertheless, the numbers—from production to consumption—are anything but promising. According to the latest EIA projections, US carbon dioxide emissions from petroleum use will increase by eight million metric tons between 2013 and 2015; such emissions are then expected to level off, at about 2.2 billion tons per year, despite substantial increases in average vehicle fuel efficiency. With emissions from natural gas expected to rise—the inevitable result of the shale gas boom—and coal emissions experiencing only a modest decline (some of which is offset by rising US exports of coal to be burned elsewhere), total domestic carbon emissions from energy use in 2040 are still predicted to be a devastating 6 percent higher than they are today. Can there be any question at this point of how this will help ensure the sorts of predicted global temperature increases, with all the ensuing side effects, that every expert knows will be devastating to the planet? At a national level, such a situation—knowing one thing and doing something else—can only be described as some form of mass delusion or a collective version of schizophrenia. In one part of our collective brain, we are aware that petroleum use must decline sharply to prevent the sorts of global catastrophes that we are only used to seeing in science fiction movies; in another, we retain our affection for driving and gasoline use without giving much thought to the consequences. We have a global warming president presiding over a massive expansion of fossil fuel production. Think of this as a form of collective mental compartmentalization that should frighten us all—and yet from the president on down, it’s remarkable how few seem disturbed by it.